As I've said before, I'm quite a fan of waxing, but that's mainly confined to waxing my legs. 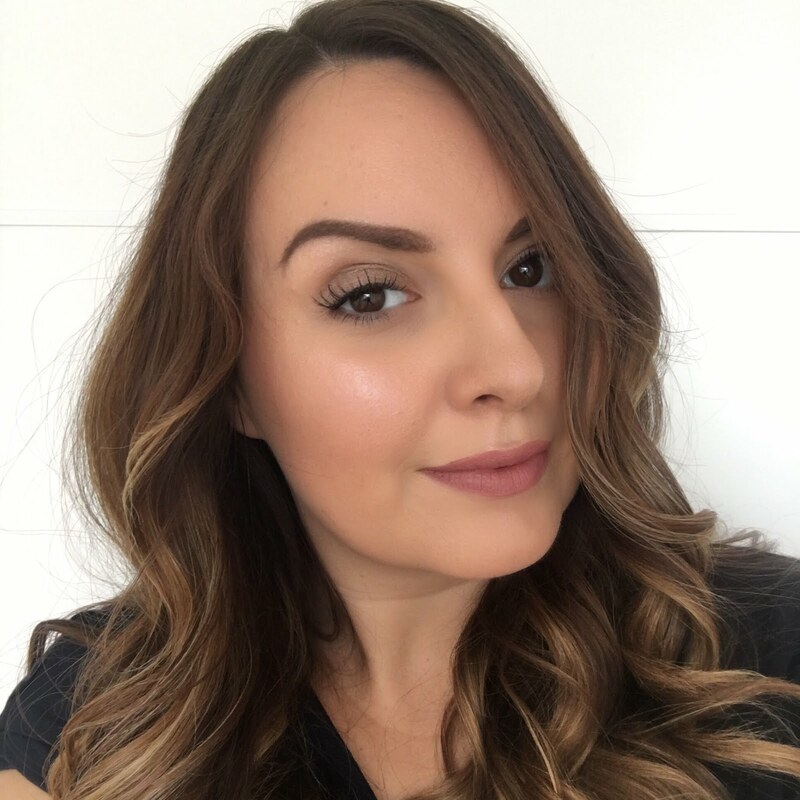 When it comes to wax for brows or the dreaded upper lip area, my skin can be a little bit sensetive to cold wax strips and I can end up with a lot of redness and soreness. I've never thought of using a heated wax on my face as it seems like a lot of effort for teeny areas, but this little wand from Veet has persuaded me to give it a try. 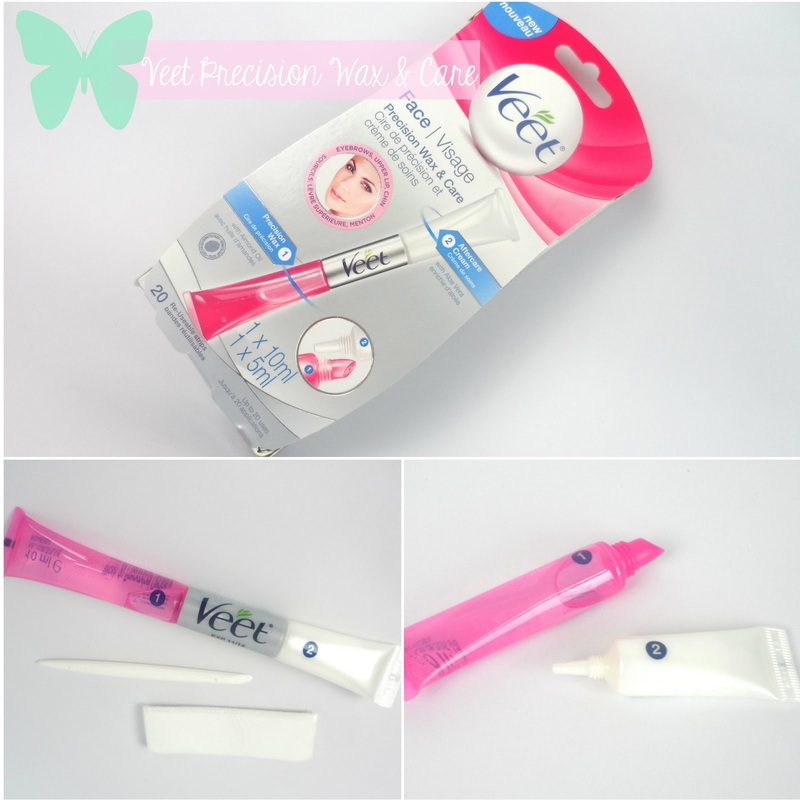 The *Veet Precision Wax and Care is like a wand the size of a large pen and it's quite an ingenious design. One end holds the wax and the other end contains an aftercare cream which I think you really do need when it comes to the more sensetive areas. You also get wax strips and a little spreader stick in the pack. Heating the wax couldn't be easier, and you don't even need a microwave. I just boiled the kettle and poured half a cup-full which was enough to submerge just the pink end of the wand into the water and a minute later the wax was ready to use. The instructions say to apply a very thin layer of wax, but I think I was going to thin as on the first try or two I didn't seem to capture any hair, although I was working on teeny short hairs. I used a thicker layer of wax and then I was in business. I found the wax started to cool a little as I was using it, so I just put it back into my cup of hot water until it was all melty again. I went over the same area of skin a few times to get every hair, so I did end up with a bit of redness at the end as I have quite sensetive skin. I washed off any remaining wax with a bit of my hot water - very multi-purpose - and then applied some of the aftercare cream which felt very soothing and smelled nice too. I preferred using this to cold wax strips as it seemed more gentle on my skin, the wax wasn;t overly sticky and almost all of it came away cleanly with each strip with hardly any residue. Veet Precision Wax and Care is available in all the usual supermarkets and high stree chemists and at Tesco it costs just £4.99 which is a lot less than I expected - I though it might be about £9, so I would definitiely buy this when I run out.